Absolut Mandrin is made exclusively from natural ingredients, and unlike some other flavoured vodkas, it doesn’t contain any added sugar. A complex, smooth and mellow vodka, with a fruity mandarin and orange character mixed with a note of orange peel. Absolut Mandrin was first introduced n 1999, 20 years after Absolut Vodka and was the fourth addition to the flavoured vodka family. Instead of the usual three or four times, Absolut vodka is distilled an infinite number of times. Absolut Mandarin is made the same way, just with added citrus fruit. 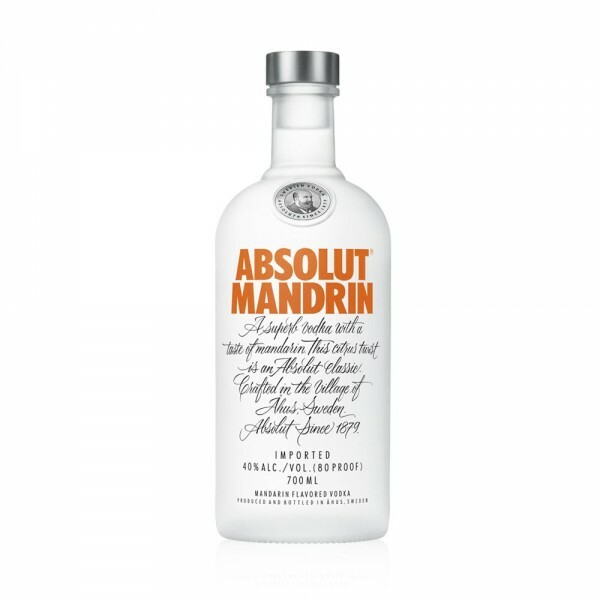 For all fans of orange flavours, Absolut Mandrin is the perfect appetizer or digestif - just add ice. But it’s also the perfect base in many enjoyable drinks, particularly when partnered with ice and soda or ginger ale.